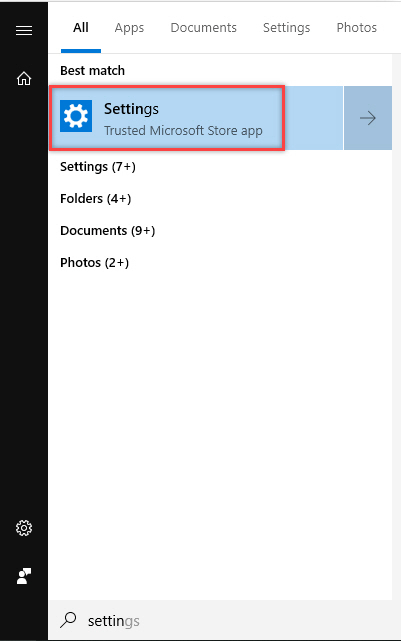 With new updates in Microsoft Windows 10 support to connect your Android mobile phone with your computer so that you can easily access your messages and photos directly on your Windows 10 computer. 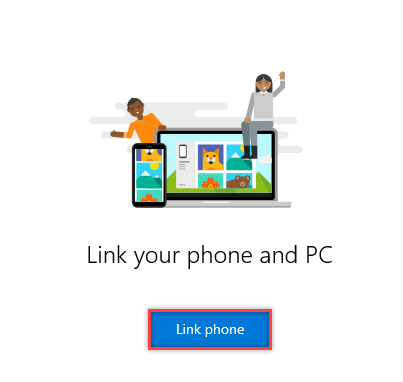 For this purpose, you need to connect your mobile phone with your Windows 10 so that you can access the contents. 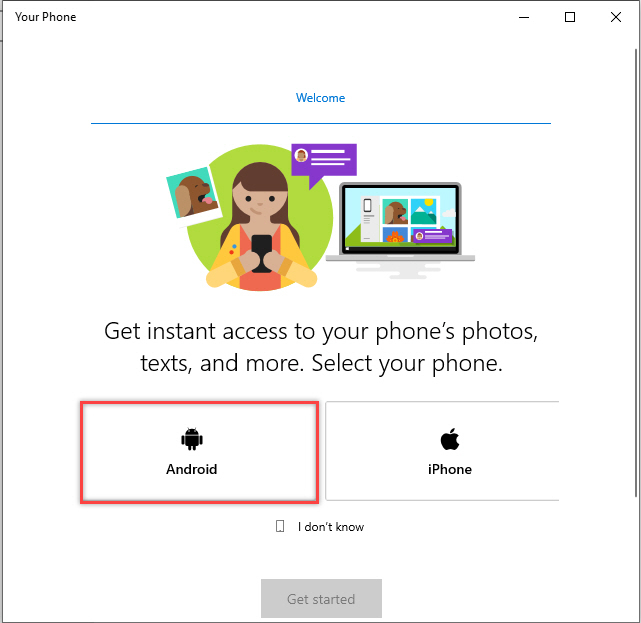 To connect your phone with Windows 10 follow the following steps. Click on start menu and type settings it will show settings on top. Click on it to open it, then click on phone to start linking your phone. Click on Add a phone. This will start phone linking wizard, Click on Android and then click Get started. 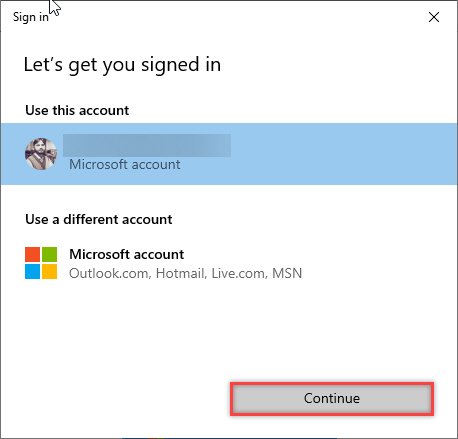 Now you need to sign in with your Microsoft account click on sign in with Microsoft. 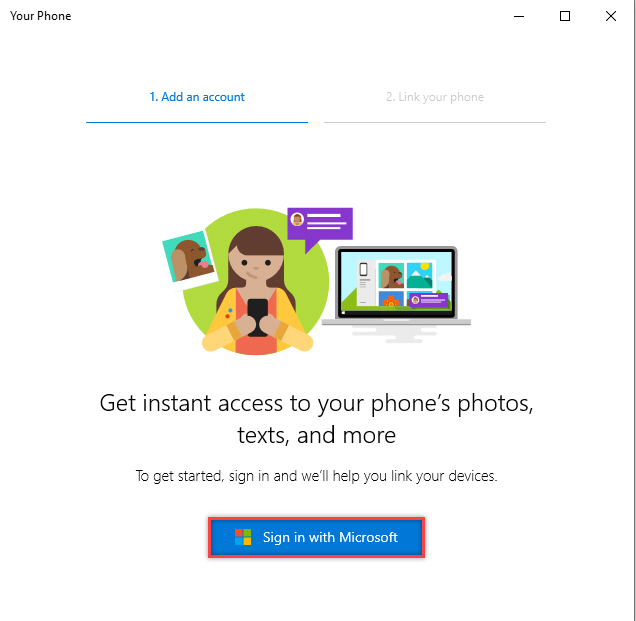 If you are already signed in with your Microsoft account on your Microsoft Windows 10 then select that account and press continue or use a different account and then sign with your Microsoft account and then click continue. Once login click on link phone. The wizard will ask you to enter your mobile number so that it can send phone companion application link on your phone. Select your country code and enter your phone number and then click send. 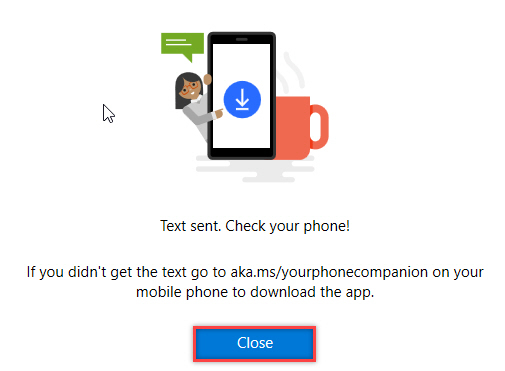 During this time, you will receive SMS on your mobile to install Microsoft phone Companion. Install it on your phone. 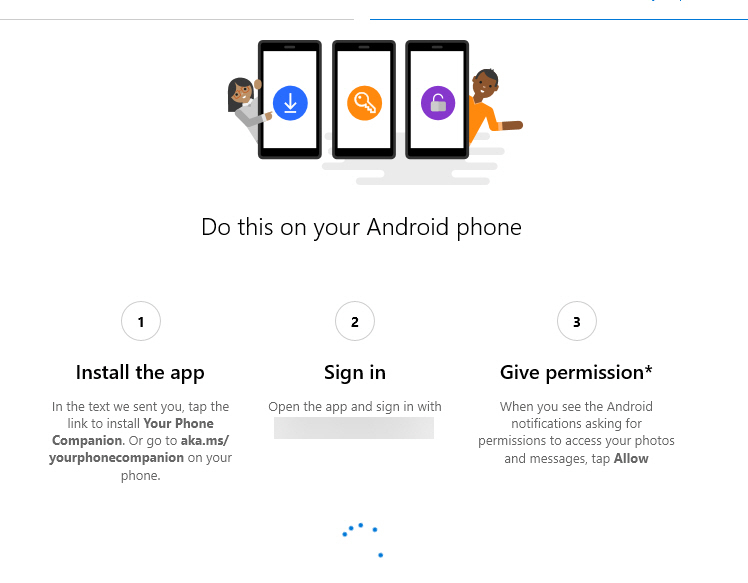 During this time, you will see that phone Windows 10 will wait for your login to the app. 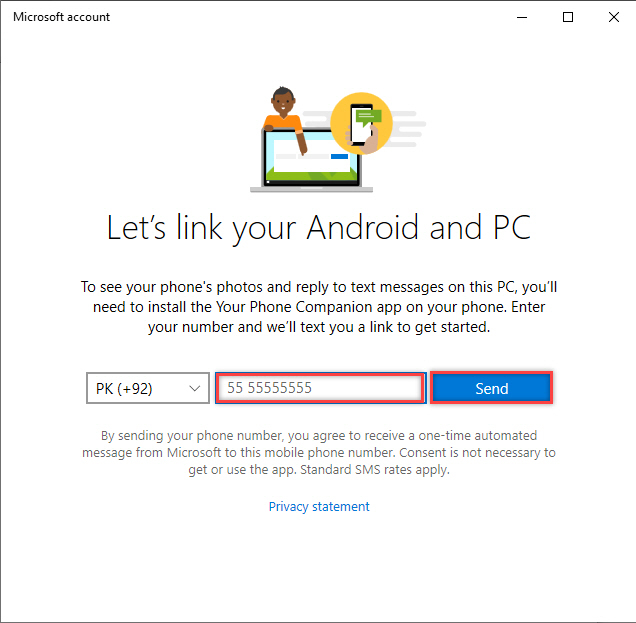 Once done, now you can access your phone messages and photos on your Windows 10 computer.